Over the past few years several methods of measuring customer retention have been developed by researchers, analysts and consultants trying to go above and beyond the traditional concept of satisfaction by measuring the “emotional” impact a brand has on a client. Now that’s all and well good, but you’re a field sales manager. Your performance is measured against numbers like monthly recurring revenue (MRR) new accounts and business opportunities, not the satisfaction scores of your clients. So why should you care about “emotional” impact? Well, what if we could show you a correlation between positive emotional impact and sales figures? When measuring customer retention it’s difficult to say that one method is better than another. Although most of these methods were designed with the intention of being “the one and only” the reality is that most field sales teams need a combination of one if not all depending on their specific needs. We are going to break down the most important methods for measuring customer retention and explain how you can use that data to increase sales. Would you recommend this company to a friend or colleague? On a scale of 1-10, customers are then asked to record their answers in a survey. Those scoring 1-6 are considered detractors, unable to give a referral for your brand for fear of damaging reputation through negative word-of-mouth. Those scoring 7-8 are considered passives – satisfied customers but not overly hyped by your brand and at risk of jumping ship. Those scoring 9-10 are your promoters. These are loyal brand enthusiasts who’ll shout your name from the rooftops if given the chance and also, of more interest to us, able to give positive referrals. How do I calculate NPS? And because it’s always given as a number your NPS will be 40. Now any positive NPS is considered good with those above 50 moving into the “outstanding” bracket. On a side note, we also recommend adding a second question to your survey. Something open-ended such as “please tell us why” as this will give you some actionable insight when attempting to shift customers up a category. So you’ve seen the theory, but how does this actually translate into hard sales figures? In the following example we are going to see the economic impact increasing the NPS by 20 has on sales figures for an insurance company, not to mention the strengthening of brand/client relations and incalculable increase in the number of referrals. Now considering that our insurance company’s percentage of detractors sits at 10%, the most fertile ground for improvement lays with their passive customers (70%). Promoters, in addition to having a higher Average Revenue Per Unit (ARPU) have a much lower dropout rate than detractors and passive customers, although their cost of service is higher due their “bigger” account status and the internal resources required to meet their demands. As you can see, the ARPU for promoters is almost double that of a passive customer, highlighting the importance in measuring customer retention and undertaking the necessary actions to move customers up the NPS ladder. In addition, this substantial improvement of 20 points in the valuation of customers will result not only in a considerable increase in business volume, as you shall see in the following example, but in an improvement in the reputation of your brand, number of referrals and the relationship with stakeholders. This represents a long-term breeding ground beyond the sales numbers. Therefore, the estimation of the implementation of customer retention policies would yield an increase in sales by $334,000. I think any field sales manager would agree that’s a substantial increase in revenue, one that doesn’t even begin to measure the other benefits of customer retention such as referrals, brand reputation and value. Using the information gathered from your open-ended question to target customer pain points associated with each group (detractor, passive or promoter) and working on fixing them. Mapping out the customer journey and looking at the specific interactions where a better CX strategy can be employed. Now as we’ve just seen customer satisfaction metrics are a great indicator of brand health and sales revenue, but relying on them solely is a mistake. They fail to account for another important method in measuring customer retention – share of wallet. Share of wallet refers to the: percentage of your customer’s spending in the market that you’re active in. The issue being that a customer could have an incredibly high satisfaction rate and even finish in the top end of your NPS chart, but if they are equally enthused about a competitor’s product or service then you’re losing vital revenue. A share of wallet strategy therefore is about trying to get customers to spend a greater share of their market percentage with you, over a competitor. The great thing is it’s almost always more cost-effective and lucrative to increase current customer spending than pursue new business acquisitions. But the question remains – if you can’t use the standard satisfaction metrics how do you effectively measure share of wallet? Fortunately for us some university professors Alex Buoye, Timothy Keiningham, Bruce Cooil and Lerzan Aksoy came up with a way to do just that, naming it The Wallet Allocation Rule. After collating research from over 17,000 consumers from various different industries worldwide, they found an interesting correlation: when asking people to apply a rank to a particular brand (say 1,2,3 out of 20) it almost always went hand-in-hand with their share of wallet. Therefore by knowing where you rank amongst competitors and the number of which you are directly competing against allows you to accurately measure share of wallet. Need we not remind you the financial impact of a weak share of wallet. For example, if a customer has $1000 to spend in your market and you are competing against three other brands, you are taking home $333 or a third of that revenue, leaving $666 on the table. The good thing is that this a fairly straightforward(ish) formula to get our heads around. Figure out the size of the pitch you’re playing on, or in other, words how many direct competitors do you have. In this case, let’s say there are 5 of you. Add-on to your NPS survey a question asking where customers rank your brand in terms of loyalty against your competitors. As you can see, after averaging out between your 5 customers you’ve achieved a share of wallet of 64%. 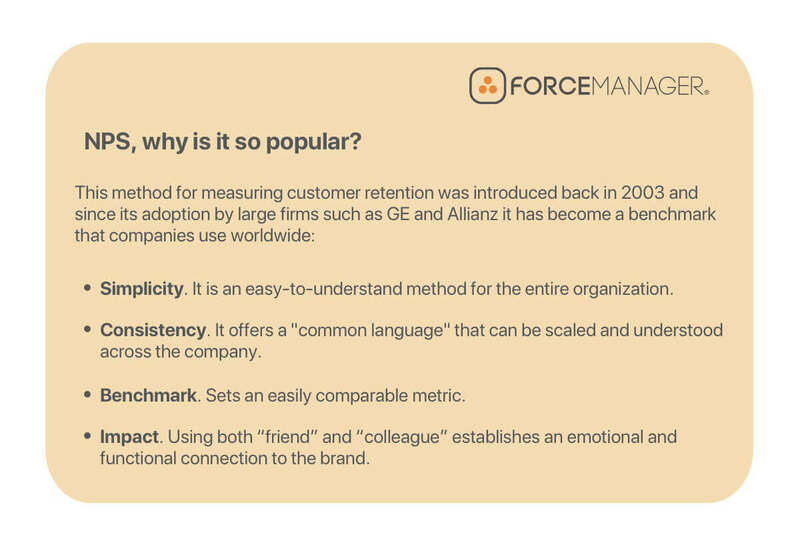 This new concept of measuring customer retention has some important implications on strategy. In order to increase share of wallet field sales managers must start looking at rank as the determining factor, not customer satisfaction. By asking the question why. Why did you rank in 3rd position? What did the competitors offer that you didn’t? In the case of our insurance company, was it a wider selection of policy offers? Price point? Closer contact with the field agent or broker? Whatever your research reveals it’s important you act upon that information. If one thing is to be taken from The Wallet Allocation Rule it’s this: if you don’t improve your rank then you’ll find it difficult to increase your share of wallet. This is isn’t to discredit customer loyalty metrics – we already established their association with increased cross-sales and extended sales cycles – but rather recommend a more rounded approach when measuring customer retention. The final method for measuring customer retention we are going to look at is churn rate. Now churn can simply be described as the number of customers ceasing to renew their insurance policies or perhaps unsubscribing from your service. And the churn rate tries to put this into context over a set period of time, calculated by dividing the number of customers present at the beginning of set period by those that left. Or in layman’s terms, the customers that come through the front door but head straight out the back! Now obviously the key here is to shut the back door. That doesn’t mean stopping customers from leaving indefinitely (as that would be illegal) but more enticing them back into the kitchen or living room. Churn rate is especially useful for field sales teams working at software-as-a-service (SaaS) or insurance brokers companies as they tend to deal in monthly, quarterly or yearly renewals. And with renewals being an easy metric to measure for churn, we will use that for our example. So let’s put ourselves in charge of our insurance sales team one last time. At the start of the quarter we had a total of 100,000 paying customers. Looking over the figures we see that out of that original number, 2000 have left, no longer deciding to renew their policies. Clearly the lower the churn rate, the better, with somewhere around the 5% mark is considered a sustainable benchmark. However, this depends entirely on the industry you’re working in, whether you are measuring voluntary or involuntary rates and if it’s a B2B or B2C market. Though whichever way you look at it, watching dollars stroll out the back door isn’t great for any field sales manager, no matter where they ply their trade! In conclusion it’s clear that while customer satisfaction is great indicator of brand well-being, the best strategy is to use a variety of different methods when measuring customer retention. Field sales managers can then use this data to better direct their sales strategy for the upcoming month, quarter or year and ensure they are maximizing the revenue from existing customers. Remember, it’s more cost-effective and efficient to increase sales from existing customers than it is from new business acquisition.